Okay, I confess. I love books. I like to get them and I really like to give them. 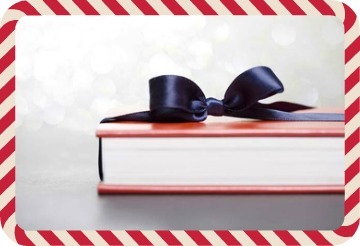 A book, unlike almost any other gift, is a symbol of thought and focus in a sometimes thoughtless and blurry world. When I give you a book, it means “I found meaning in this book and think you might, too.” I might be wrong—you may hate it. But ultimately, when I give a book, I’m attempting to give you something that will last far beyond your journey through the pages. Since I’m writing this around holiday time–the time when dreaming and planning begins in earnest, I wanted to share the five books I’m giving this year. Maybe one—or all—will inspire you to give a gift to your friends or colleagues. Or maybe you’ll just treat yourself. What if you could do less, but better? If you’re on the path of Essentialism, you can. 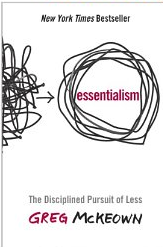 According to McKeown, an Essentialist is someone who consistently and diligently considers where to invest their time and energy. It’s a practice of knowing what’s most important in our work and life, and strategically eliminating everything—and I mean, everything—that’s outside that space. This is an approach I’ve tried to live and teach (my phrase is “just because I can doesn’t mean I should”), and I’m constantly refining my strategies. 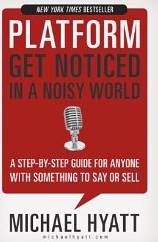 This book offers more stories and tools about how to go about it. While this book is often shared with entrepreneurs or pre-preneurs, I think it offers great advice for anyone who wants to consciously manage what the world around them knows and believes about them and their work. With a focus on both the strategic (“Bake in the Wow”) and the tactical (including non-techy details on using social media effectively), Hyatt helps readers get their message out and understood, beyond their immediate borders of their companies or industries. So if you think Tony Robbins is all about firewalking and bouncing up and down in front of thousands of people, well, that’s certainly part of his brand. But in his new book, he shares how it felt growing up hungry and poor, and how he watched too many people get hurt in the 2008 market crash, and how he felt that money was now a topic he wanted to take on. Robbins’ work has always been about changing your mindset and taking control of your life and career (something we relate to here at RedCapeRevolution.com). 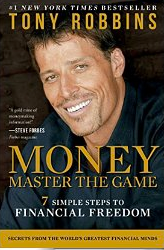 So it shouldn’t surprise you that this book about money isn’t always about money. In fact, in its early pages, it’s about you—what you want, what you can do. Don’t get intimidated by the size of the book. If you’ve ever heard Robbins’ speak, be comforted that he writes the same way he talks—friendly, funny, and with passion. And if you’re someone who’s hesitant to talk—or learn—about money, this may be the book to shake you out of your comfort zone and start taking more control. I can’t tell you how often that happens in my work as a coach and speaker. 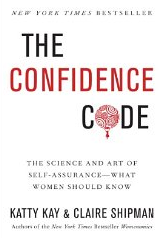 And it seems that it’s happening to Kay and Shipman too, who tackle the tricky terrain of gender, beliefs and bias in this book. But the authors do more than just observe and complain. They offer concrete examples on how to respond to criticism and how to get over pointless perfectionism. As parents of young girls, they both also share their mistakes and assumptions that have gotten in the way of raising confident women. Great reminders for any of us—of any gender—who want to influence the next generation. If you’re a TED Talks watcher or an Oprah Lifeclass follower, you’ve probably heard of Brene Brown, the Texas professor who has been on a mission to teach us how to be more vulnerable, more open, and ultimately, more human. In my quest to grow into a real, live human, complete with my flaws and bumps but with authentic heart and passion, I’ve become a fan. (I resisted mightily at first—afraid to be vulnerable, I think.) Brown’s work is funny yet challenging as she pushes us to speak more of our honest truth (consequences be damned). If you’re someone who’d rather give help than ask for help, if you’re someone who’s concerned about your imperfections (and maybe someone else’s), or if you’re someone who’s constantly criticizing the most important person in your life (YOU), this is a definite read. YOUR TURN: What’s the book you like to give? Email me your suggestion here, or share on Facebook.